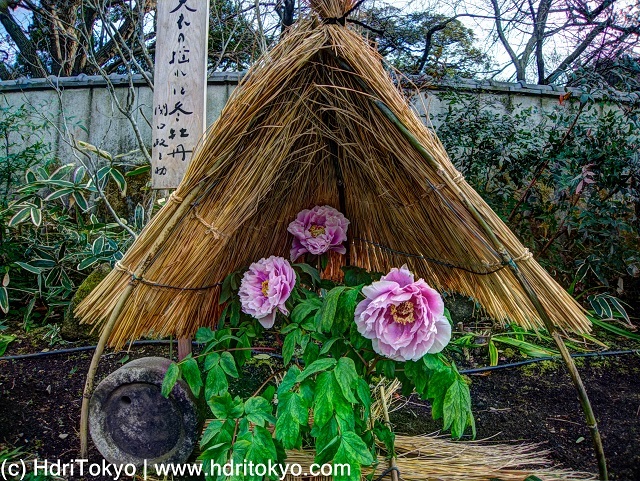 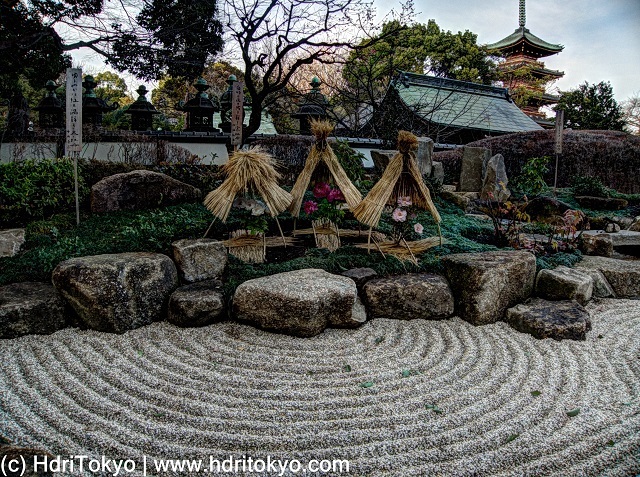 This peony garden is located at Ueno Toshogu shrine in Ueno park. 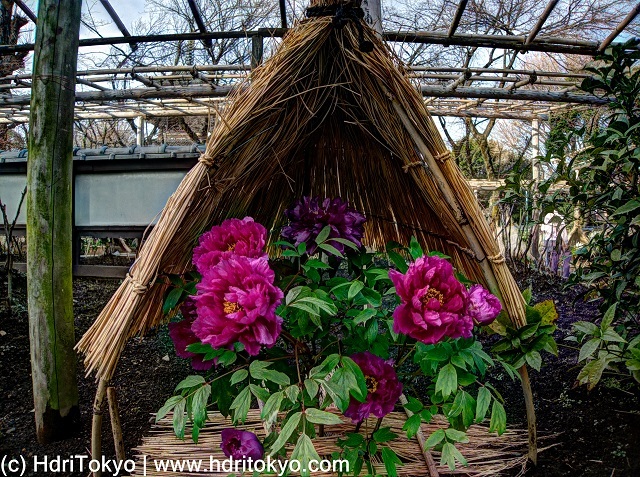 The winter peony festival is an annual event of the garden, you can see a variety of winter peony there. 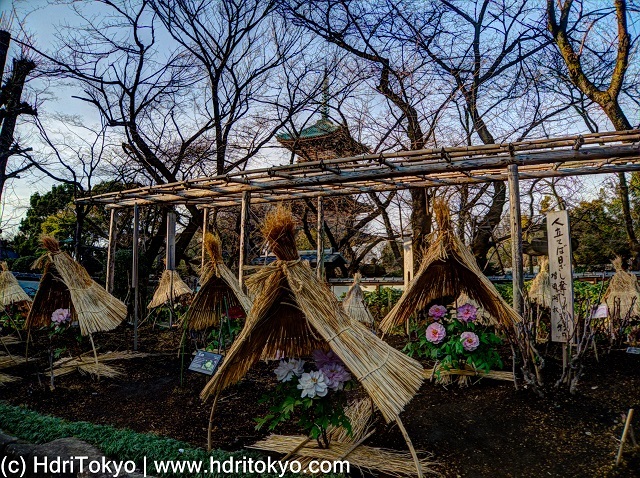 In this year, the festival is held from January 1 to februaly 28.